I was unusually touched by this year’s Tanabata. Tanabata is the festival for girls. It is the evening for girls to pray that they can become more skilled at handicrafts, such as weaving and sewing. 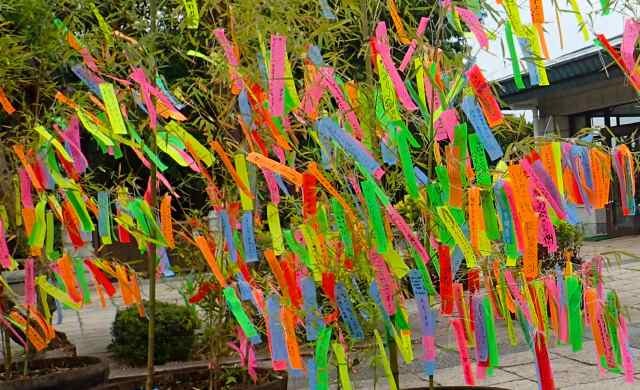 In China they celebrate Tanabata decorating the end of one pole with 5 colored threads, I heard, but in Japan we hang 5 colored strips of papers on a blue leaved bamboo which we have just cut down in near bush, then put it in front of a house. On some colored papers, words of girls’ hidden wishes are occasionally written in halting Japanese.